Are you tired of having to constantly bother about a good waste removal service? Is it stressing you out that you are not getting the skip bins of the size that you ordered? Well, you are living in Sans Souci, and in French that means “carefree”. So in my opinion, you deserve to live a carefree life without having to face the weekly hassle of dealing with unprofessional waste removal services. This is why you need to contact Blue Heeler Bins today! By doing so you can sit back and relax while we take care of all your waste removal needs. Why do things the hard way when there is such an easy option available to you? We are Australian, locally owned and have been in this business for over 20 years. So we have all the experience required for this job. We have learned through our mistakes throughout these 20 years and by now we have perfected our job. We can provide you with skip bins of different sizes. So now you can select the perfect skip bin that will suit the job you have in mind. We also have bins with gates and cranes as well, so you can reach those hard-to-access places with the greatest ease. To get a better understanding of what we can offer you, go through our services. Our service area is not limited to Sans Souci. We cover a wide expanse of suburbs in Sydney. You can also read our blog for more up-to-date news on the services we offer. 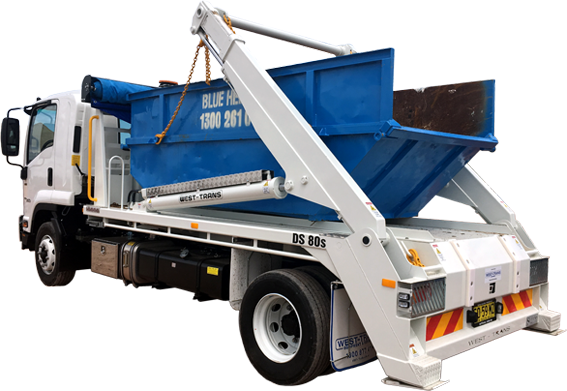 For more information on getting the most carefree waste removal service in Sans Souci, simply contact Blue Heeler Bins on 1300 261 041 or 0418 238 210. You can also send us an online message on our official homepage and we will get back to you as soon as possible.